Baldenheim in Alsace has 1,150 residents. The overall appearance of the village is characterized by the typical half-timbered style of the region; the Alsatian wine route as well as the crenellations of Koenigsbourg are located in the near proximity. 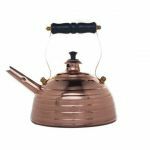 In this idyll, the company BAUMALU produces not only fine copper cookware but also other cooking utensils for expert and amateur chefs. 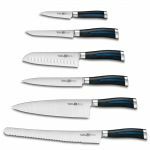 These range from stainless steel pots and baking dishes to peeling knives and pasta machines. 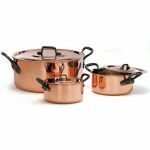 By producing high-quality cookware, the company BAUMALU focuses on the traditional French cuisine, in which copper pots are absolutely essential. 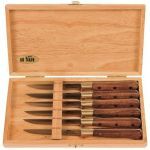 One of the main reasons for this is that copper has much better heat conductivity properties than any other metals used in kitchens. The heat conductivity of copper is five times higher than that of iron and even twenty times higher than that of stainless steel. As a result, pots and pans do not only warm up more quickly but also allow for the heat to spread out more evenly and make it easier for you to regulate it. As the bottom and the walls of the pot warm up at the same time, the food contained therein is heated gently and evenly. The insides of casseroles and pots are coated with lead-free tin. 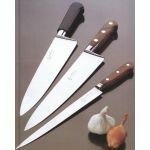 The advantages of this composition have been well proven and, as a result, it is still favored by many expert chefs. 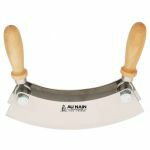 A further great advantage of the cookware by BAUMALU is the top-class workmanship. 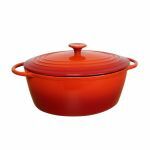 The handles of the pans, casseroles and pots are made of solid cast iron and are riveted. 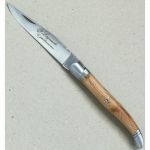 This ensures a long life cycle and provides a constantly secure grip when cooking. 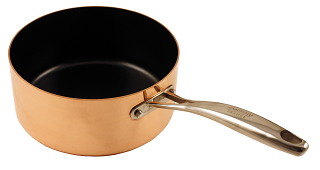 The copper pans by BAUMALU have a wall thickness of 1.7 millimetres. 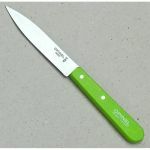 They are suitable for any type of cooker apart from induction ones; this also applies to the pots and casseroles. 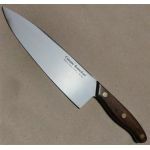 When used on gas cookers, the advantages of copper cookware are fully noticeable since it warms up quickly and allows you to regulate the heat precisely. 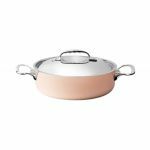 The casseroles of the copper cookware collection by BAUMALU are available in different sizes, ranging from 12 to 20 centimetres. As regards the pots, a diversified range is offered: From stew pots to jam pots and longish fish pots, you can choose anything you like. 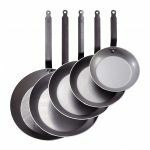 The pans are also available in different diameter sizes, ranging from 16 to 32 centimeters. Whether you would like to roast steak, steam vegetables, make jam or cook fine fish does not matter. 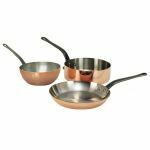 The copper cookware by BAUMALU will meet your cooking requirements in every regard. 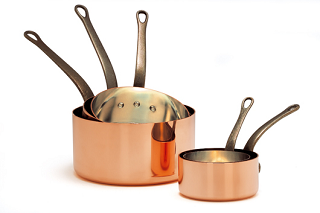 Apart from its high quality, the copper cookware by BAUMALU is also known for its beautiful shape and colour. 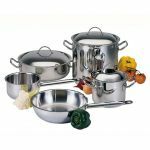 The pots and pans of the collection are decorative eye-catchers that will attract the attention of friends and acquaintances who enjoy cooking as well. When the food is carried to the table in BAUMALU copper serving pans, every pan is in harmony with the ensemble of high-quality tableware, upper-class crystal ware and silver ware. 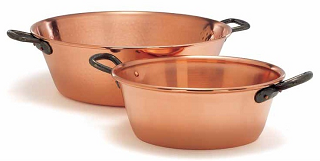 In addition, a further advantage of copper as a basic material in the production of pots and pans comes to the fore. 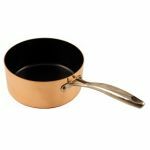 Copper does not only warm up more quickly and evenly on the cooker but also stores the heat much longer than cookware made of iron or stainless steel. By the way: Even if your kitchen is equipped with an induction cooker, you do not have to do without the copper cookware by BAUMALU. 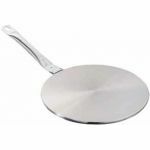 For this type of cooker, special spacer plates are available that make it possible to use traditional pans and pots. 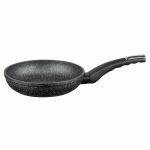 Alternatively, you can choose induction-compatiblecookware from the Inocuivre Induction collection offered by de Buyer.